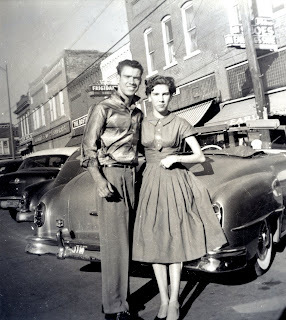 Mr. Paul Irons shared this great picture of him and his wife cruising the square in the 1950s. Read more in todays News Courier. Hope to see you cruising through the square Saturday night between 6 PM - Midnight. Donations will be accepted for SOA to start a Facade Improvement Grant Program. I am enjoying all of the events that have been going on in downtown lately!!! In fact, I have even blogged about dt and SOA lately. I just can't get enough!! !